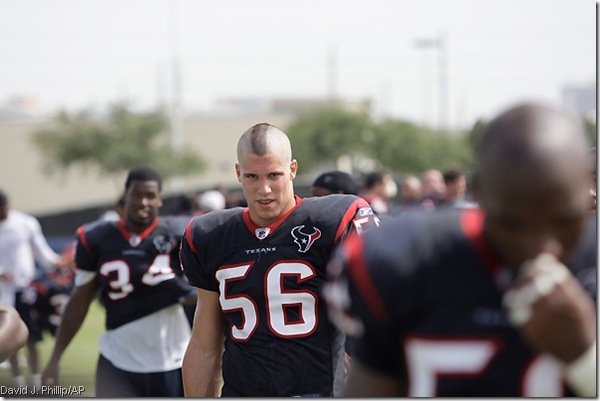 The least shocking sports news in recent memory came across the other day, when NFL Defensive Rookie of the Year Brian Cushing was suspended after testing positive for hCG, which is a female fertility drug thatÃ¢â‚¬â„¢s often used post-cycle to stimulate testosterone levels. ItÃ¢â‚¬â„¢s the same one Manny Ramirez tested positive for. This was unsurprising for a lot of reasons, but primarily because IÃ¢â‚¬â„¢ve heard explicit stories about CushingÃ¢â‚¬â„¢s proclivity for using steroids for quite some time.